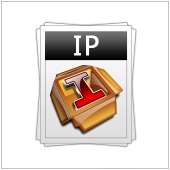 Sometimes you need to find out your IP address for networking, troubleshooting, gaming, or tech support purposes. There are two IP addresses you may need to consider—your “external” IP address (the IP address the rest of the world sees to locate your computer or network) and your “internal” IP address (which identifies your particular computer in a shared network). Finding your external IP address is easy.